..and not so great for others. We’ve been playing with Motorola’s latest Android smartphone for about two weeks now. What we’ve found is a powerful package with lots of geeky features, but lacking in a couple of very important areas. The Motorola MB855 Photon 4G is an Android-powered phone for the Sprint network (also known as the Electrify if purchased through U.S. Cellular). Under the hood it features a dual-core processor with 1 gig of RAM, 2 gig of ROM and 16 gig of on-board storage. Power is provided by a removable 1700 mAh battery- that means you can yak constantly for up to 10 hours. The Photon was officially released August 2011. Geeks will appreciate the plethora of bands this phone will operate on- it’s ready for international duty and contains eight different radios. On the outside the Photon is relatively light, easy to handle phone. A kickstand on back makes video use a bit more comfortable. Pressing the power button brings the sleeping screen to life and holding the button for a second accesses the menu for silence, power off, etc. Along the right-hand side reside the volume buttons and camera shutter release. On the left-hand side you’ll find the usual micro USB connector for charging and data. 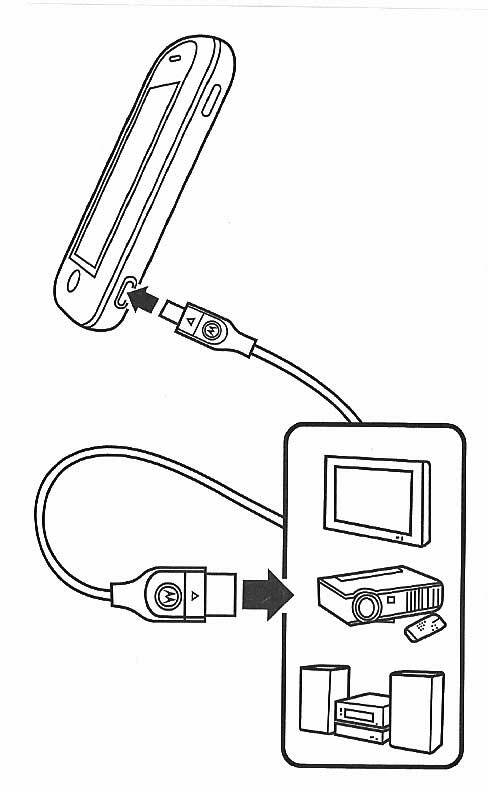 Next to that you’ll also find micro HDMI plug that allows you to connect the Photon to your TV. Connectivity is a strong suit for the Photon. And Motorola leverages it even further with accessories for car or home theater use. The HD Station provides a rapid charge dock plus three USB connections, HDMI, audio via a 3.5 jack plus a remote. The idea here is you can watch Netflix on the telly and switch shows from the comfort of your couch. But wait… there’s more! When the Photon is seated in this dock an optional Webtop app that launches Firefox in desktop mode. Add the optional Bluetooth keyboard and/or mouse and you can kiss DSL or cable Internet charges goodbye. The accessory car cradle can similarly revolutionize your next road trip making the Photon a fully usable GPS and music delivery device with support for voice-to-text. Unfortunately the Photon has one very noticeable weak point. The camera. While the specs for the 8 megapixel forward-facing camera looks good on paper, the execution has one terrible flaw. The shutter button has no focus lock. To be fair the images look pretty good and you can also shoot 720 HD video. But in this day and age one would assume that a two-step shutter button would not be considered a luxury. But for some odd reason the Photon sends digital photography on a retro throwback to the Nineties. Remember missing shots because your camera took what seemed like an eternity to release the shutter after pressing the button? Well, those bad old days are back! Press the shutter button on the Photon and it begins focusing- continues to focus- maybe finally focuses and then snaps the picture. I found myself looking through images of blank walls and empty greenspace wondering what I thought I had taken a picture of. It’s beyond irritating. But it gets better. Go look for the setting to silence the camera noises. There aren’t any. This is another glaring downfall because the camera is extra noisy. Overall the Photon is a powerful phone with excellent battery life, clear voice quality, fast computing speed, lots of bundled features and some great accessories available. The excellent HDMI connectivity makes watching streaming video a snap. It’s also great for viewing your photos on the family TV. It’s really a shame it’s not better at recording them.